Porcelain veneers generally require two visits to our dental office. 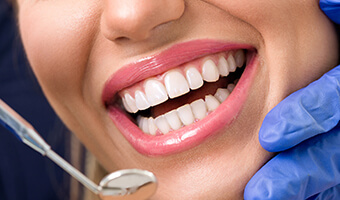 During the first visit, we will carefully take measurements and molds of your smile and prepare the teeth for the dental veneers by removing a small amount of tooth enamel. Your porcelain veneers will then be permanently cemented in place during the second appointment. Call us today to learn more about how porcelain veneers can transform your smile!